Plants have basic to extensive healing properties known and tested for centuries. Most found its way through our over-the-counter medicine and some, although proven, remained as alternative medications. Herbal medications come in different forms. There are tonics, oils, salves, teas, and poultices. An herbal tonic contains different ingredients that help restore the body. It is taken in the form of liquid as recommended by a physician or as supplemental food. Natural remedies and self esteem may seem like an odd pair to a lot of people, but not to those who know the ways of nature. There are a lot of herbs out there that can help with the symptoms of low self esteem. People with low self esteem are those that feel they are somewhat lacking as a person.hey don’t have much confidence in their abilities, and most are afraid to try anything because they feel like they would fail. 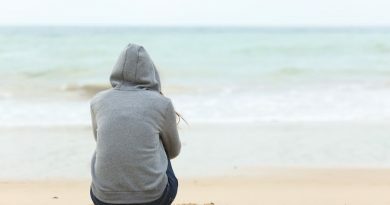 Although low self esteem is really not considered a disease,it could still be debilitating and can hinder much of one’s proper functionality when it comes to taking care of himself as well as integrating with society. Alleviates symptoms of anxiety related to social fear like palpitations, sweaty palms, dry mouth, trembling and shortness of breath. Relief mental fear of embarrassment , public speaking and negative thoughts. it is a natural remedy that promotes balanced moods by improving emotional health and wellness. Help to maintain a positive attitude, balance appetite. Used for depression, OCD , anxiety and insomnia. St. John’s Wort. This is a flowering herb, predominantly found in Europe, but has now been introduced in Australia as well as North America. It is known for being a natural remedy for depression, specially for anxiety, loss of appetite and trouble sleeping. In some countries, it is being used instead of the popular medicine, Prozac. According to WebMed (1) More than 30 clinical studies have been conducted over the past 22 years to evaluate the effectiveness of St. John’s wort. While the true benefits of St. John’s wort are still being explored, check with your doctor before taking it. Ginkgo Biloba. This is a tree that is cultivated widely all over the globe. It’s been found to help increase serotonin levels as well as improve circulation in the body, including the brain. It has shown a lot of promise as an anti-depressant in older people, aged 50 years old and above. Researchers(2) have studied ginkgo for many other conditions, including ADHD, depression and other psychological conditions, multiple sclerosis, and tinnitus from a vascular origin. Licorice Root. The licorice plant is native to some parts of Asia as well as Southern Europe. It is said to be fifty time sweeter than sugar and it can help to elevate one’s mood. It can also help in improving the absorption of the hormone serotonin which helps to counter depression.
. Supports the immune system, best used for physical performance and endurance. Ginseng. Ginseng is a perennial plant which is slow-growing and with fleshy roots. It is famous as a tea ingredient and has a stimulating effect that can help with fatigue, which is a symptom of low self esteem. Boost your immune system, prevent colds, and increase your appetite.
. Best used for stress, worry and to balance moods. It also reduces nervous tension and anxiety.
. Reduces irritability, rage and temper outbursts. Chamomile. This is an herbal flower and is usually made into a tea. It helps to soothe one’s anxiety. It also helps to make you sleep better which could help with your fatigue problems. 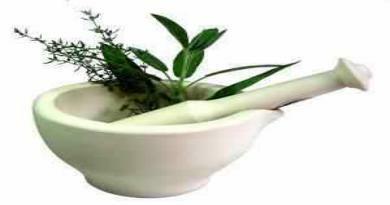 Herbal remedies and self esteem are also recognized by Ayurvedic medicine. According to Ayurvedic practice, people with low self esteem must stay away from hot, spicy food, red meats, excess alcohol and white sugar. Also, they need to be careful not to get too hot. Drinking plenty of water helps, and having rose tea or drinking rose water mixed with coconut milk can help improve one’s self esteem. St. John’s Wort for Treating Depression. Retrieved 2011, from http://www.webmd.com/depression/guide/st-johns-wort. Ginkgo Biloba. WebMD Medical Reference. Retrieved 2011, from http://www.webmd.com/vitamins-and-supplements/lifestyle-guide-11/supplement-guide-ginkgo-biloba. Licorice Root Health Benefits. Retrieved 2011, from http://www.homeremediesweb.com/licorice-root-health-benefits.php. Ayurvedic Specific Condition Review. Retrieved 2011, from http://www.alandiashram.org/school/school_html/reviews/mood_disorder.html. Important Note: The information stated above about herbs for low self-esteem is not intended to substitute advise from your Doctor. It does not indicate that the use of these remedies is effective and appropriate for you. Consult with your Health Professional before using any of the above suggestions.